Find the local staff portal for your department or division. The public roads on campus have parking restrictions. 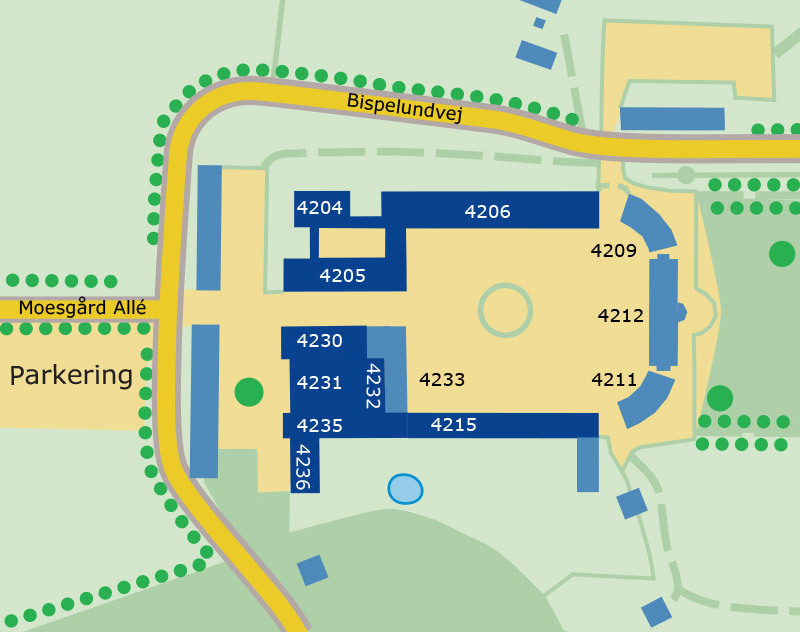 Parking is restricted to a maximum of 4 hours between the hours of 7 am and 5 pm. The restrictions are marked by 'P-zone' signs at the entry and exit points to the campus and by means of parking lines where parking is permitted. Municipal parking attendants will patrol the area. 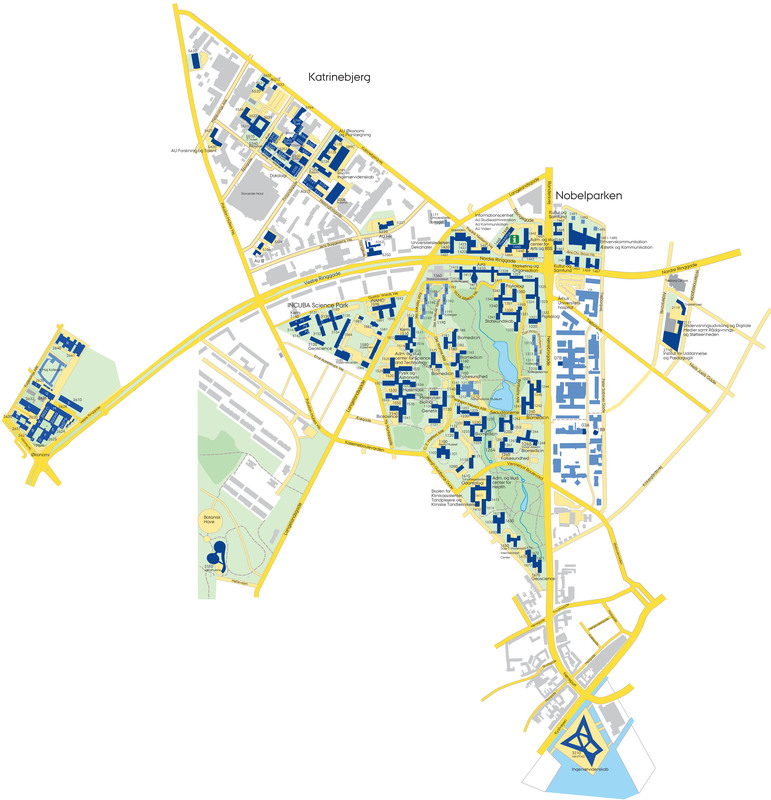 The restrictions apply only on campus itself, not on the roads around the campus. 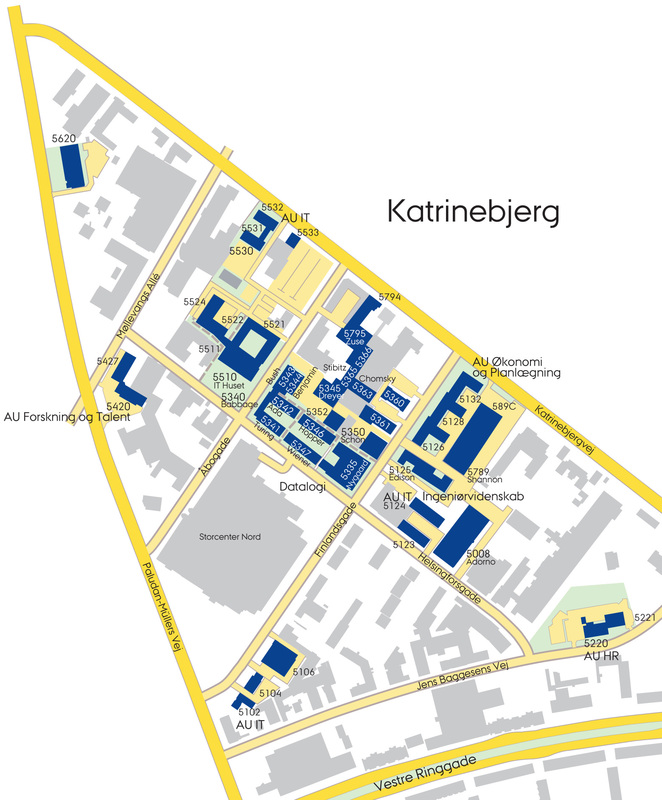 The Visitors’ Service offers guided tours in and around the University Park in Aarhus, lectures and a general introduction to the university’s courses, history, organisation and architecture. We carry out ongoing work to ensure that the information on the map is correct, but there are currently a number of locations that are changing name, and units moving to new addresses. Unfortunately, this means that some information will be inaccurate. 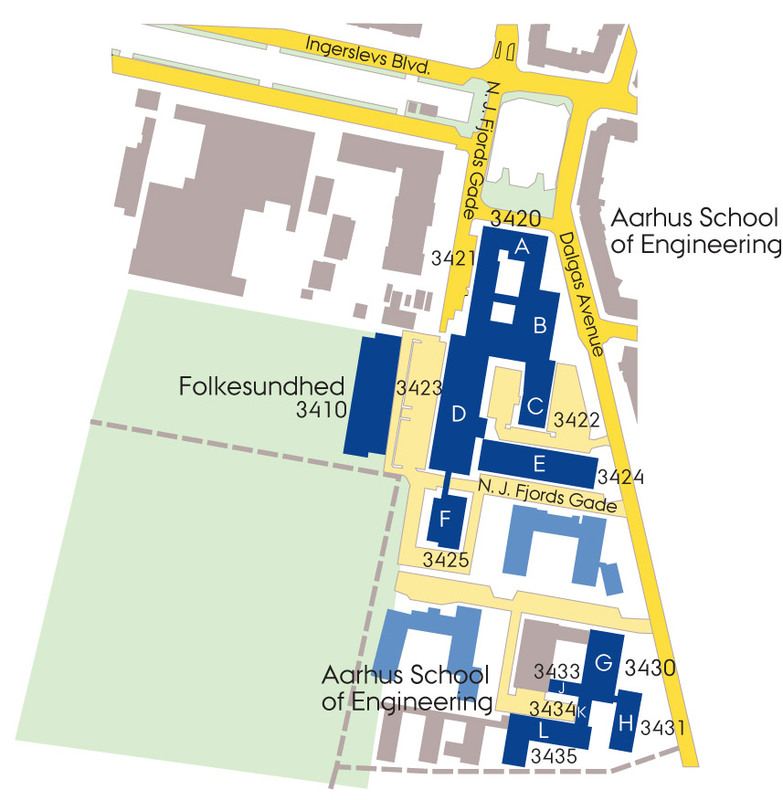 If you can see that information on the map is either missing or incorrect, you are welcome to send an e-mail to aukort@au.dk – although we are not able to correct everything. 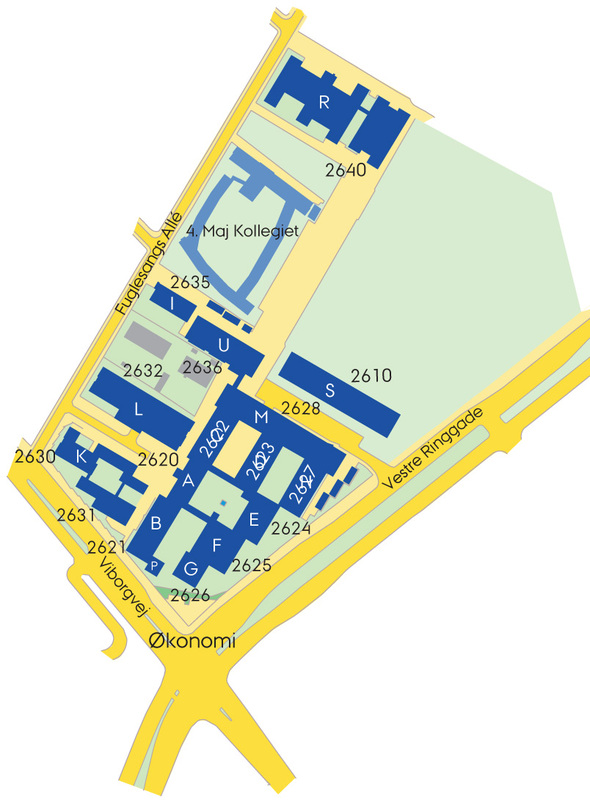 If you are looking for a building map to use for printing, you can download it here.